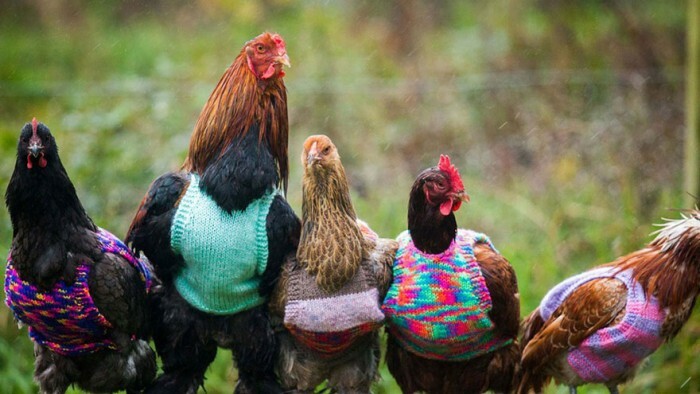 Nicola Congdon and her mother Ann from Falmouth in Cornwall, England came up with a novel way to keep them warm – they knit woolly chicken jumpers. 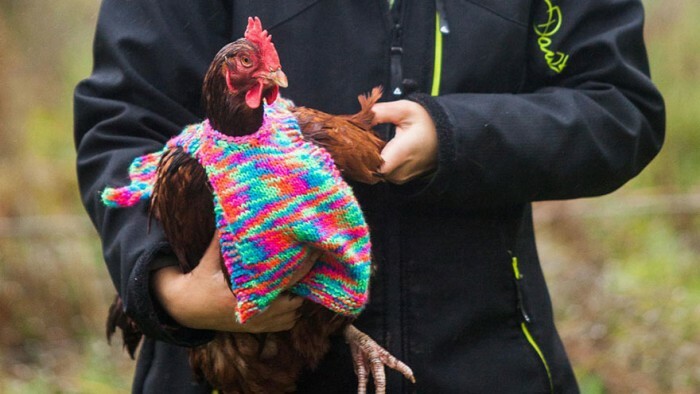 “It’s important to make people aware of the poor conditions the hens live in and the fact that they have no feathers when they are retired,” says Nicola. 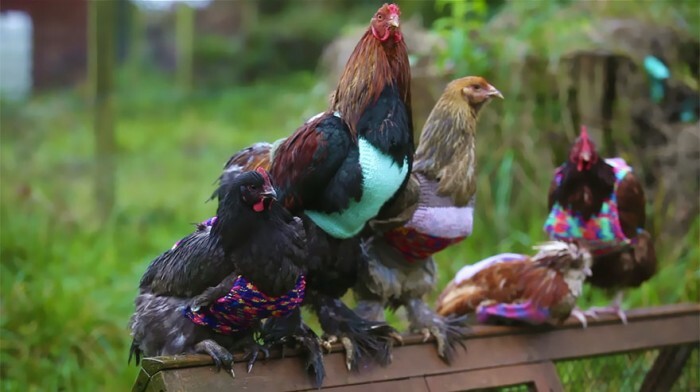 You can also check this post about Australia’s oldest man who knits tiny sweaters for injured penguins!